Known for their Mac and Cheese worth travelling to Tebing Lane for, Whisk and Paddle is no stranger to the cafe scene. 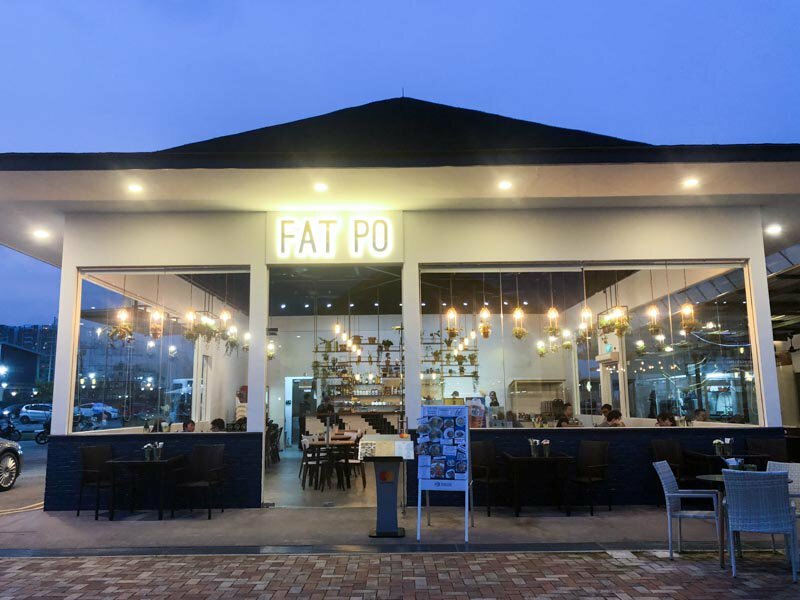 If you’re a W&P fan, then you’d be stoked to know that the same folks have a new brainchild, Fat Po, whose menu possess more of an Asian twist. The MRT and LRT ride to Fat Po might leave very little to be desired, but the ambience here more than makes up for it. You won’t miss the brightly-lit sign that jumps out at you from the driveway. A quick look inside and you’ll quickly notice how the cosy wooden interior has been retained here too, with the same warm, yellow lights. The Lychee & White Peach Frozen Yoghurt Smoothie ($7.80) was everything that we expected it to be — light, refreshing yet mildly creamy. Sometimes we avoid milky drinks fearing that they won’t do as good a job as clear drinks in quenching our thirst, but I assure you that this one does the trick nonetheless. We love gula melaka in chendol, cakes and even milk tea…but we’ve never had Gula Melaka Kopi ($4.80) before. This combination worked so well because the gula melaka helped to mask any bitterness from the coffee, and even our non-coffee-drinker colleague took to it — “this is not bad even for someone who doesn’t like coffee”, he said. I love avocado in all forms, so it was only expected of me to choose the Avocado Milkshake ($8.80). Avocado drinks usually end up being too milky, leaving the actual taste of avocado rather elusive. This, however, was really creamy and thick and frankly got us feeling like we were drinking an ice cream beverage (which can be a good or bad thing, depending on your preference). In our case, we were definitely fans of this rich yet not overly sweet shake. When Victoria, our host at Fat Po, came over to check if we were okay with fresh oysters, there was a unanimous anticipation at the table of their latest addition to the menu, Grilled Live Oysters ($24.80 for six pieces, $46.80 for 12 pieces). 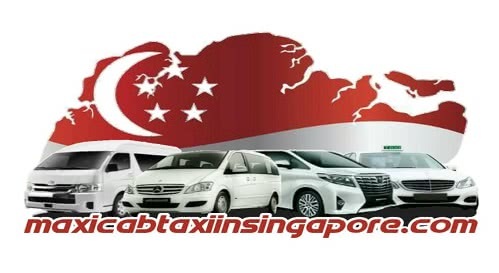 We tried both flavours — Garlic Butter & Parsley and Mozzarella Cheese with Nyonya Sambal. It was tough to choose which one to start with between the two because I love cheese and garlic all the same. I enjoyed the stringiness of the mozzarella that coated the juicy oysters as well as the spicy kick from the sambal. The garlic butter, on the other hand, wasn’t as satisfying as I had hoped, and somehow tasted pretty isolated from the oyster. Out of their extensive and interesting selection of fries, the Mapo Fries ($8.80) was the first to catch our attention. If you’re familiar with mapo tofu from zi char menus, then you can probably guess how this dish came to be. Strips of deep-fried tofu topped with minced meat and spring onions, this dish reminded us fondly of the home-cooked tofu dish turned into finger food. By now, you can tell that the dishes at Fat Po involve various splashes of colour which might not do too well in photographs, but they definitely get the job done in your tummy. You could say that the Tang Xin Egg ($6.80) is a zhng-ed version of your typical ajitama. With avocado mayo, ebiko and bonito flakes, this dish meets Asian and Western in the middle. It was a pretty perfect snack to whet your appetite, and besides, you can’t really go wrong with ajitama. The Nan-ru Pork Belly ($10.80) might not be the epitome of guilty pleasure just yet, but it’s a close second. Imagine the flowing juices of fatty pork belly slices that have been battered then deep-fried — it may sound cardiac arrest-inducing, but we say it’s worth the risk. But before you wave your hands to say, “confirm too jelak“, I’m here to say that it surprisingly wasn’t. Though I would’ve loved if it was sprinkled with salt and pepper, or if there was a dip to go with it on the side. Looking awfully like the aforementioned dish, the Deep Fried Chicken Skin ($8.80) was another item on the menu that left us feeling super apologetic to our waistlines. Topping off the shiok factor for us was the belachan that packed a tangy and fiery punch. Yes, I’m that person who chooses the chicken skin at Tori Q, so it’s not hard to understand why I polished off a good one-third of this bowl (oops). We got to savour more seafood, and this time it was the Sanbei Lala ($9.80) that easily became one of our favourites here at Fat Po. The wok-fried clams with shoyu, mirin, garlic, chilli padi and scallion made a really fragrant combination without overpowering the natural flavours of the clams. The Loklok Salt+Pepper Set ($10.80) did a good job in emulating actual loklok itself, or barbecued skewers by the road side along Malaysian streets, as you might remember it by. This is great for splitting two-ways, but it can get tricky deciding who gets the prawns if there are more than just two of you. Despite the preconceived notion that barbecued meats usually end up dry, the prawns still retained their moisture. We ‘borrowed’ the belachan from earlier as a dip, which certainly did not disappoint. Fat Po also has a pretty creative range of pasta. Get the Thai Basil Pork Pasta ($15.80), if you always have basil pork rice at Thai restaurants. It came topped with an ajitama, which was an added bonus for us. The spaghetti nicely soaked up the umami flavours of the pork, making each bite burst with flavour. I absolutely looove mala, and pasta’s one of my favourite type of noodles too, so when I saw the Mala Mushroom Pasta ($14.80) on the menu I couldn’t say no. Well, nothing truly beats the real deal, but the pasta was both ma (numbing) and la (spicy), so I guess it does the job. With many establishments claiming that they serve Wagyu beef bowls (but often turning out to be disappointingly tough beef slices), I was sceptical about this one. But the Angus Beef Bowl ($18.80) more than exceeded my expectations. My colleague, who hadn’t spoken about the food the whole meal, finally opened his mouth and said, “guys this is really good y’all have to try it”, and he couldn’t have been more right. The medium rare Angus Ribeye slices were well-seasoned and paired nicely with the bed of fried rice underneath them. We couldn’t leave without trying something from their new series of Bolo Burgers, and were treated to their Har Chiong Chicken Bolo Burger ($15.80). I was a fan of the crusty bolo bun, but felt that the chicken patty could use more prawn paste. My colleague on the other hand though found it to be just nice. Either way, I still think they probably did a better job than McDonald’s take on the Har Chiong Gai burger. Just when we thought we were done being wow-ed by their variety of fusion fare, Victoria emerged with three more sweet treats to send us further into a food coma. Served in a nostalgic kopi cup complete with a matching saucer, the Teh Creme Brulee ($6.80) came paired with a couple of handmade cookies. As with all creme brulees, we had fun cracking the torched layer of sugar that concealed the local tea-infused dessert beneath it. Though the cookies weren’t meant to be the star of the dish, our attention was quickly drawn to their buttery, crumbly texture that made us wish there were more than just two. I really liked how the Mango Pudding ($6.80) was plated but the dish itself wasn’t anything that special. Without a doubt, the pudding, sago and mango sauce came together to bring us a yummy classic, but I wouldn’t say that it was a must-try. The Chocolate Peanut Lava Cake ($8.80) should really have been called a lava cookie instead because of its cookie-like crust. It was also the one that I was dying to try the most. For starters, the adorable yin and yang motif couldn’t have been more apt to depict the compatibility of the peanut butter and chocolate. When dug into, the crusty outer layer gave way to a soft, viscous filling that oozed out slowly. To all fans of lava-anything, you guys need to check this one out. We came to Fat Po expecting typical overpriced cafe fare, but we stand corrected and I’d even say that I wouldn’t mind travelling all the way here just to have their unique offerings once more.